Android smartwatches are not in a good place right now. Due to fizzling popularity and dwindling sales, Google recently made the decision to rebrand Android Wear as Wear OS, in hopes that it would be able to turn a new page and regain its foothold in a market dominated by Apple and Samsung. The rebranding was a necessary move, considering that every third Android smartwatch was being paired with an iPhone, and reflects a broader trend at Google of removing the Android moniker from cross-platform services. But rebranding a product is one thing. Reinventing it is something else entirely. Google has both the ambitions and the backing of leading fashion and tech brands to achieve its vision. The one thing holding it back right now? The very foundation of Wear OS smartwatches – the technology inside. Up until Qualcomm introduced the Snapdragon Wear 2100 in 2016—which is still being used—Android smartwatches were powered by a modified Snapdragon 400 smartphone chip. It wasn't good, and although the 2100 changed things for the better, it is in need of a replacement. This could change later in 2018, as Qualcomm reportedly gears to release a brand new smartwatch system-on-a-chip that would put Wear OS back on the map and head to head with Tizen and watchOS. The new SoC is "designed from the ground up for a no-compromises smartwatch experience with dedicated chips that make your watch look pretty when you're not looking at it, that brings the best fitness and watch experience, and extends battery life," Pankaj Kedia, Qualcomm's senior director of wearables, told Wearable. Kedia also says that the new silicon will be revealed this fall, alongside a flagship smartwatch to show off its improved capabilities. "Several partners” are reportedly set to release Wear OS devices packing the new chip by the holiday season. Aside from the new processor, Wear OS will enjoy some new software features in the coming months, including deeper and better Googe Assistant integration. Google still has the chance to regain some footing in the ever-tightening wearables market, but it's going to need a strong, new foundation -- both hardware- and software-wise. WoW good stuff Android smartwatches will become a good reason to buy this year if google/qualcomm manage to bring decent valuable changes to both software and hardware wise and availability to our area. Wonder when windows smartwatches will come in this market?They will add a good competition to both other os with their unique UI.It's will be good for them to begin with google reincarnation of its os this time around and apple watch series 3.
google is on fire this year!!!! Lol couldn't think of like that +1 to u but OS things will or may change in future nothing last forever. I think the Apple Watch is gonna continue to dominate the wearable market. It’s backed by to vast of an eco system, while being a very good watch. Apple has nothing to worry about here. Tizen has crazy features, but it’s pretty unstable too. Crazy features like storing Spotify music? Like being able to make phone calls from the wrist? What? I don't find any stability issues on my s3 or the s2 previous but Apple indeed will continue to dominate. Once Apple adopted the dock style interface from Samsung and others and changed their messaging from apps to fitness and convenience they went through the roof. What kind of stability issues have you seen DJ? My S3 classic is stopping workouts without my knowledge, not loggin all of my steps, sometimes not allowing me to enter the calories for the current day, and Bluetooth disconnection issues. It’s got about 7 annoying bugs in all. I hope this will put Wear OS watches on the same level as Apple. Apple will still dominate because of its trendy status, but that will help drive innovation from others so that smartwatches are more competitive with each other. The Apple Watch is trendy, but its also very good. Have you given one a try? Battery life still isn't where it needs to be. 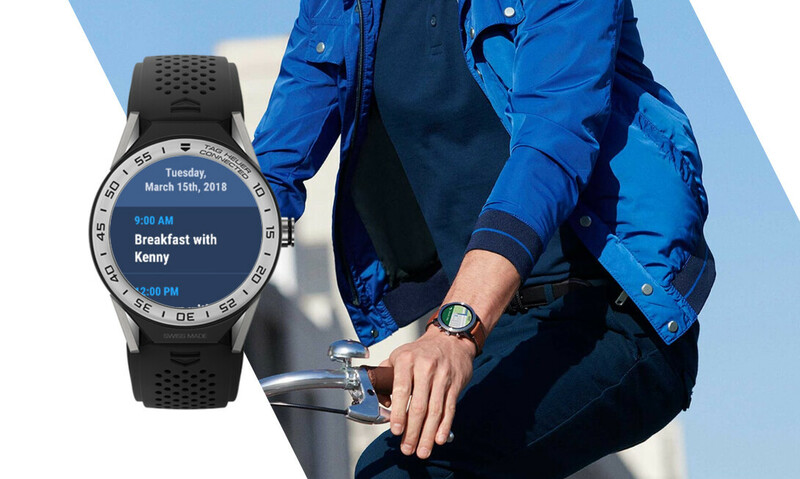 A good looking Wear OS watch with Google Assistant and Google Maps would be very enticing indeed, and objectively better than either the Apple Watch or Gear S4. Let’s hope Google is serious in pulling it off.